MasTec has marketed Rabbit since 1991 and has sold tens of thousands of Rabbit cores, chip sets and microcomputers into the Oceania area. 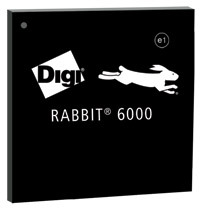 Rabbit is part of Digi International and if you look on the Digi Site you will find a large range of Rabbit + Digi embeddable microprocessor based products. Rabbit invented Core Module Microprocessors in the late 90s. -- A core has CPU, RAM, Flash, I/O, Comms, ethernet and sometimes Wireless. 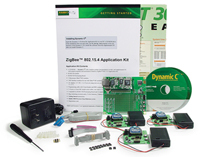 To rapid build an OEM system is very easy as the Core carries the most difficult to manage hardware and the design engineer only needs to add custom I/O services on a mother board with a Power supply. Many use this technique for rapid time to market products. It often also turns out this is lower cost over the length of the products life due to the fact that the core has EMI and ROHS and CE compliance etc. Rabbit now has standardised on the same Pinout for all new cores and this means upgrades to newer cores with bigger performance or trading down for lower cost systems is now possible and quickly. Rabbits Dynamic C software development environment is straight to the Rabbit micro board from a Wintel PC connection -- with register level debuging in real time. It is ANSII C Compliant. If you like, you can build using a COS Multitasking pre-emptive OS. Huge library sets take the time out of coding and gaurantee success on complex issues like Zigbee, Wifi, TCP, DAQ, remote code uploading and debugging etc. We are so confident on Rabbits ability to meet your needs.